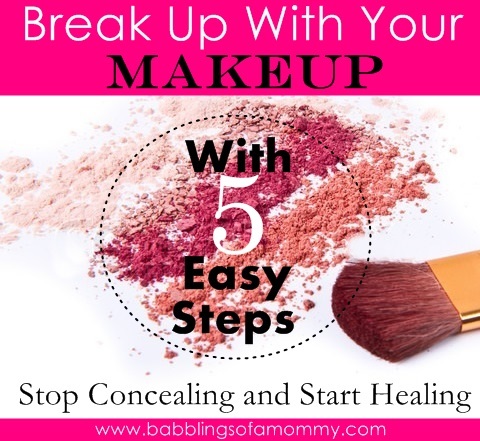 Breaking up is hard to do – especially when it comes to girls and their makeup. If you’re a professed makeup junkie like myself, letting go of our beloved cosmetics can be quite the challenge. But if there is one thing that I have learned as I’ve gotten older is that no amount of makeup can substitute great looking skin. Taking care of it, and keeping it clear, healthy, and glowing is more important than any makeup product on the market. Period. For years, I’ve neglected to take care of my complexion. I’ve disguised blemishes and uneven skin tone with heavy foundation, instead of giving it the proper TLC it needed. But now I’m doing a much better of job of tending to it and consistently following a proper skin care regimen for it. Don’t get me wrong. My skin is far from flawless, but I’m well on my way to achieving a smoother more healthier complexion by exercising these 5 easy steps. If your skin is not getting the sufficient amount of water, the lack of hydration will present itself by turning your skin dry, tight and flaky. Drinking more water will help rid the body and skin of toxins and keep you looking and feeling refreshed. Some people overlook the importance sunscreen. It is hands down the most effective anti-aging product you can buy, and more importantly helps avoid potential life-long damages of the sun. Believe it or not our face is one of the dirtiest parts of the body because we touch it all day long. It’s important to clean the skin at night to avoid the spread of bacteria and give our skin an opportunity to breathe. Moisturizing your face keeps the oil levels in your skin regulated. Since your skin rejuvenates itself during the night when you sleep, applying a moisturizer before you go to bed is always a good idea. Today's post is brought to you by Mirvaso from Galderma Laboratories, L.P. Mirvaso is used for the treatment of persistent facial erythema of rosacea OR the treatment of persistent facial redness of rosacea. To find out more about Mirvaso and if it's right for you, please visit their website. Also, Mirvaso is offering one lucky winner the chance to win a ticket to the 2014 Emmy Awards! You can enter here. Indication: Mirvaso® (brimonidine) topical gel, 0.33% is an alpha adrenergic agonist indicated for the topical treatment of persistent (nontransient) facial erythema of rosacea in adults 18 years of age or older. Adverse Events: In clinical trials, the most common adverse reactions (≥1%) included erythema, flushing, skin burning sensation and contact dermatitis. Warnings/Precautions: Mirvaso Gel should be used with caution in patients with depression, cerebral or coronary insufficiency, Raynaud's phenomenon, orthostatic hypotension, thromboangiitis obliterans, scleroderma, or Sjögren’s syndrome. Alpha-2 adrenergic agents can lower blood pressure. Mirvaso Gel should be used with caution in patients with severe or unstable or uncontrolled cardiovascular disease. Serious adverse reactions following accidental ingestion of Mirvaso Gel by children have been reported. Keep Mirvaso Gel out of reach of children. Not for oral, ophthalmic, or intravaginal use. You are encouraged to report negative side effects of prescription drugs to the FDA. Visit www.fda.gov/medwatch or call 1-800-FDA-1088.